Cromarty, poised on the tip of the Black Isle at the mouth of the Cromarty Firth is the Highlands' best preserved historic town. But Cromarty is more than just an 18th century town in stasis. For modern travellers and holidaymakers it can provide a wealth of attractions: sandy beaches, unusual architecture, Bottlenose Dolphins, eating places, a multi-award winning museum, beautiful countryside, wildlife, and bird reserves of international importance, to name but a few. At this web site you will find information about all the places of interest, the things to do, where to stay, local businesses and attractions, details of the town's history and culture, as well as comprehensive maps and information showing where the Cromarty is, and how you can get there. Cromarty is the ideal destination in the Highlands, whether you wish to stop, or are touring. Not really itself a Highland town, it is a convenient and beautiful centre from which to tour, being only 40 minutes drive from Inverness, the 'Capital of the Highlands'. Cromarty combines the advantages of its convenience as a base from which to travel throughout the Highlands, with an apparent detachment from the mainstream of tourist routes, giving the best of both worlds. For over 700 years Cromarty's livelihood has depended on its proximity to the sea, and to its fertile farm lands. Its fortunes have fluctuated constantly, peaking in the 17th century with trade with Norway, Sweden, Holland and even the Mediterranean, and then again in the herring boom of the 19th century when dozens of fishing boats sailed from its harbour. It is due to the depression following these booms that Cromarty is preserved today as the most attractive town on the east coast of the Highlands, and due to the oil boom in the 1970's that its current prosperity has allowed for the repair and renovation of so many of its fine old buildings. 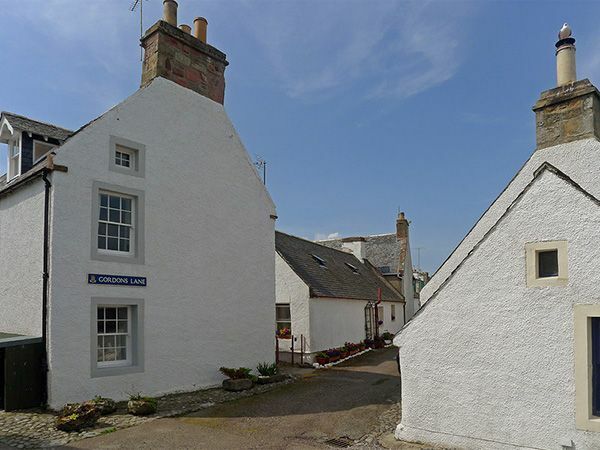 Above all Cromarty has the ability and charm to be what you want it to be: an enjoyable and beautiful place to visit or stay, a centre from which to travel the Highlands, or a quiet retreat from the hurly burly of the main tourist routes.